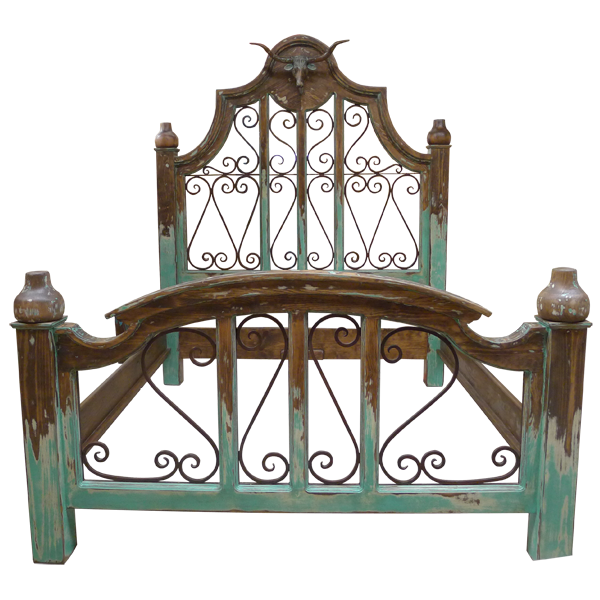 All of the decorative ironwork adorning this gorgeous, handcrafted, Western style bed is created in our factory by our resident blacksmiths. The framed headboard has staggered, curved sides, and centered in its top is a rounded crest. 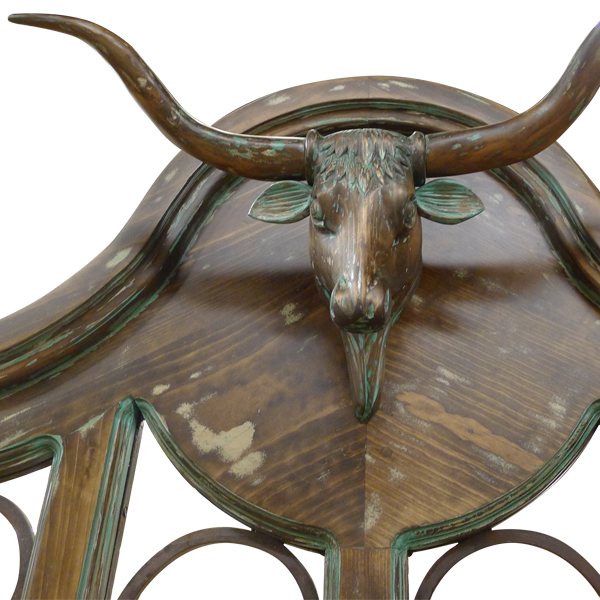 The crest is embellished with an exquisite, hand carved, bull head with horns. The front of the headboard is open, and the open space is enhanced with ornamental, hand forged ironwork. The headboard is framed on each side by solid wood uprights, and the top of each upright is accented with a hand carved, irregular sphere. The top of the footboard has a centered, arched molding, and the area below the molding is open. The open space is filled with decorative, hand forged ironwork. 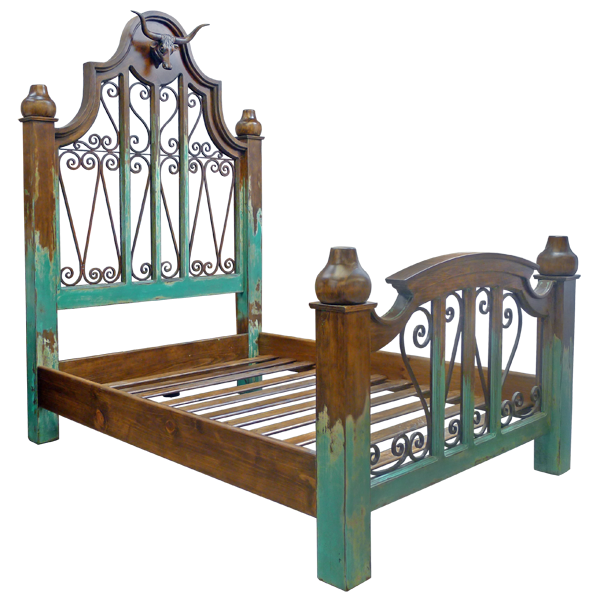 The footboard is framed on each side by solid wood uprights, and the top of each upright is garnished with a hand carved, irregular sphere. The bed has solid wood, side supports, and it rest on sturdy, square cut legs. It is finished with a distressed, green finish, and it is made with the best, sustainable, solid wood available. It is 100% customizable.